Well, how lucky was I when a book group in Berkshire sent me a copy of Forty Autumns by Nina Willner. The group had read and discussed this 'family's story of courage and survival on both sides of the Berlin Wall', were recommending it far and wide and thought I might like to read it too. One of their number had met the author at the school gates whilst living in Prague, and Nina Willner had done a Facetime session with the reading group during their meeting. It was a Saturday morning, and a leisurely breakfast when the arrival of a new book always demands an immediate peruse. I read solidly until Sunday evening, hard pushed to put the book down for any but the most essential tasks. The clincher in the book for me was that this was written by a woman who knew first hand, and from several very different perspectives, what life was really like behind the Berlin Wall. Not only had her mother Hanna fled the divide as a young adult, succeeding after several attempts, but Nina Willner had worked for US Intelligence in Germany during the years of the Cold War. What follows is an intimate and gripping account of a grey and colourless country, because Hanna left behind a large family who would have to surrender to the demands of the communist regime. It would be forty years before she would see her family again, but Nina Willner paints a vivid picture of life in post-war Germany for her own grandparents and myriad aunts, uncles and cousins and the impact on ordinary lives. It is sobering to read of the indoctrination, the need to 'embed orthodox communist doctrine' in a nation who had previously been trained to despise it. The manipulation of the people through oppression, brutality and disproportionate punishment via the Stasi makes for chilling but compelling reading, as does the indoctrination of the children via compulsory membership of youth organisations, simultaneously creating a climate of fear, suspicion and spying, often on your own family. 'Informing on your parents and one another simply will not happen in this family.' says Opa Karl, Hanna's father, to her remaining eight siblings. Nevertheless there will be constant anxiety and deep mistrust of the wider community along with a heightened awareness of potential traps...even something as simple as being offered extra eggs in a shop could be a trap that would result in arrest and persecution. Hanna's parents, Oma and Opa (Erna and Karl) will eventually be exiled after Opa, a teacher, finally cracks and challenges the authorities, but in a strange way they are suited to remote isolation and make the best of it whilst the support from their children is unwavering. Nina meanwhile, trained by U.S. Intelligence services, has been deployed to West Berlin in 1983, at that time 'the spy capital of the world', and her account of the work is both fascinating and at times terrifying. It was fraught with danger as the death of colleagues revealed and, unable to make contact with her extended family, at times must have been incredibly frustrating. Despite the hardships, powerless and oppressed, and with rebellion futile, the family stick together, weathering the onslaughts and finding ways to support each other, giving the reader of Forty Autumns a poignant and moving insight into the human aspects of these years, and the wider social and cultural impacts of the repression. An entire population silenced and submissive and being fed a distorted world view... hard to believe such places still exist today. The loss and separation are profound for a family who 'lose' forty years of togetherness and freedom until the day, that most memorable day, when the wall, built in 1961, falls in November 1989. The end, when it came, was like toppling dominoes. A combination of people in power (Reagan and Gorbachov) determined to breach this divide, and a people starting to rebel and defy the authorities in subtle ways (listening to radio broadcasts from the West) and in increasing numbers. I defy anyone not to well up at that moment in the book. It is intensely emotional and beautifully portrayed and I certainly had a tear in my eye, and at the prospect of subsequent family reunions. Given that all this happened in my lifetime and its existence spans the first thirty-five years of my life, my recollections of it are typically 'western'. Perhaps most vivid are those memories of the athletes, a sphere covered in some detail in the book because Nina's cousin Cordula would become a world class cyclist for East Germany. It is the Olympics I remember, though with little awareness of Erich Honecher's mission to achieve sporting superiority for his small nation. Forty Autumns all makes for fascinating reading and again, how grateful I am to Judith and her book group for sending this to me. So much I didn't know and if you are looking for an excellent book group selection you couldn't go wrong with this one. Plenty to discuss that will keep you going long after the biscuits have run out. It's time for my annual Easter Recess, a legacy of never being allowed out to play on Good Friday and now using Easter weekend as a chance to switch off the internet and enjoy the peace. And for those that have enquired... thank you and yes the excitement continues, the barn owls seem to have moved in properly and we watch them every evening. Throughout the evening we see it gliding around the fields and back and forth to the box, with the occasional call, but much quieter now. I have had a long and very helpful conversation with The Barn Owl Trust who sited the box all those years ago and am pleased to report that these boxes are considered much safer for owlets because of their depth. By the time any owlets are able to get out they will almost be able to fly. In other news, I stood underneath the sleeping owls with the now completed Liberty nine patch scrap quilt for a photograph. Worked on slowly through the winter, and needed dreckly for one of the beds in Tinker's Cott, I was very grateful to a friend who helped me layer it and then whisked it off to machine quilt. Searching for a name Bookhound won the contest with Libertyto Alba...Tyto alba being the proper name for a barn owl. Clever eh, he was rightly very pleased with himself. Anyway here's wishing you all a happy and blessed Easter with just the right amount of whatever you love and some good books too. I am deep into Mary Ann Sate, Imbecile by Alice Jolly which I have agreed to 'champion' for this year's Rathbone Folio Prize for which it has been shortlisted. All I can say at this halfway point is hie thee to library reservations and Please Read This Book so that we can talk about it here eventually. I am astonished by it. For my non-fiction read I am loving The Greedy Queen - Eating With Victoria by Annie Gray, and my thanks as always to whoever recommended it in comments a while back. Our next Village Book Group theme is 'Food' and this is perfect. Firstly a huge thank you to those of you who reminded me (on the scribbles about Time Song by Julia Blackburn) that Seamus Heaney had written several 'bog body' poems. I had completely forgotten about them, but there he was, Tollund Man..
'When Tina Hopgood writes a letter of regret to a man she has never met, she doesn’t expect a reply. I love it when reading trails connect in this way. In other poetry news several good collections have found favour in recent weeks including No Map Could Show Them by Helen Mort. "The poems of Helen Mort's second collection offer an unforgettable perspective on the heights we scale and the distances we run, the routes we follow and the paths we make for ourselves. Here are odes to the women who dared to break new ground – from Miss Jemima Morrell, a young Victorian woman from Yorkshire who hiked the Swiss Peaks in her skirts and petticoats, to the modern British mountaineer Alison Hargreaves, who died descending from the summit of K2. your unborn child held deep inside. And then I was reminded of Climbing Days by Dan Richards, the story of his great-great-aunt, Dorothea Pilley ' a prominent and pioneering mountaineer of the early twentieth century and which I wrote about back in 2016. "What emerges is a beautiful portrait of a trailblazing woman, up to now lost to history - but also a book about that eternal question : why do people climb mountains?" I waxed lyrical about Climbing Days in my usual fashion and am really looking forward to travelling with Dan and his latest book Outpost - a Journey to the Wild Ends of the Earth. 'There are still wild places out there on our crowded planet. Through a series of personal journeys, Dan Richards explores the appeal of far-flung outposts in mountains, tundra, forests, oceans and deserts. These are landscapes that speak of deep time, whose scale can knock us down to size. Their untamed nature is part of their beauty and such places have long drawn the adventurous, the spiritual and the artistic. For those who go in search of the silence, isolation and adventure of wilderness it is - perhaps ironically - to man-made shelters that they often need to head; to bothies, bivouacs, camps and sheds. Part of the allure of such refuges is their simplicity: enough architecture to keep the weather at bay but not so much as to distract from the natural world. I have a few more impressive poetry collections to share with you dreckly including Girl by Rebecca Goss and The Rain in the Trees by the late W.S.Merwin but I'll save those for the next gallimaufry. You should each have received an email. At last someone (Penguin) is bringing The Artificial Silk Girl (Das kunstseiden Mädchen) by Irmgard Keun back into print, and I for one couldn't be more delighted. I'm sure I have suggested it hither and yon, especially to publishers of 'forgotten women's fiction', all to no avail down the years.
.'...but here at last is Irmgard Keun's The Artificial Silk Girl, she who lived for some time in exile with Joseph Roth. I had decided to track down and read some of the authors who had been banned or exiled and this was how I stumbled across Irmgard Keun's writing and this astonishing book. Fleeing Germany in 1936 and joining a circle of exiles that included Joseph Roth with whom she had an affair, 'who is writing the great book about now?' asks Irmgard Keun of her peers. Michael Hofmann argues that whilst in many ways she was right perhaps the 'now' was just too much for the readership to stomach, perhaps they 'craved respite and escape.' Irmgard Keun would eventually return to Germany illegally under the name of Charlotte Tralow thanks to false reports about her death. Who can know the trauma and fear of those years in a writer's life. Irmgard Keun gives us material girl Doris's view of life in Berlin in the 1920's as Doris attempts to script her life along the lines of a glamorous movie star. Believing that respect comes from glamour not knowledge, and stupidity and dumbness are seen as cute, Doris sets out in the protective pelt of her stolen fur coat to find fame and fortune in the city. It all goes hopelessly wrong in both funny/sad ways as reality hits the beguiling and amazingly perceptive but ultimately dizzy Doris. Poor Doris. Whilst her innate sense of goodness and innocence shine through, it is unlikely to get her far. My perfectly presented little hardback book, binding, paper quality, dusky power-pink cover, all gorgeous. An American translation, and inevitably a few colloquialisms creep into what is essentially a beautiful mid-European text. A minor detail though, I'm just grateful that Kathie von Ankum has translated a book that had not been available in English since 1933, and that Penguin have republished that translation. Whilst Child of All Nations is readily available After Midnight is not, so let's hope Penguin have plans for more by Irmgard Keun, and I have plans for a redux here of my thoughts about both books dreckly. The book and some Kendal Mint Cake. Sustenance of the gods when out walking, and a bar carried in my emergency kit at all times. 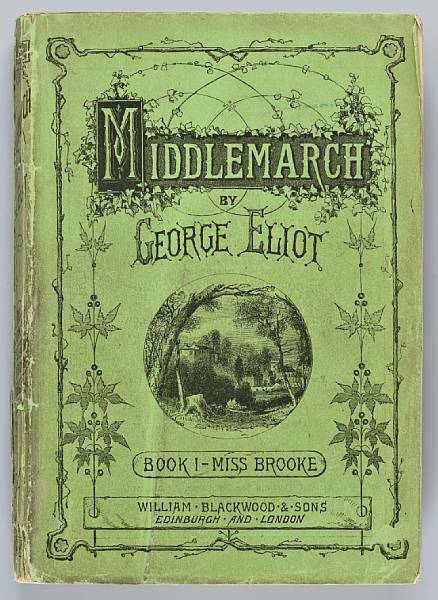 This is little gem of a pocket-sized book, originally published in 1926 and now republished by Bloomsbury, in a beautiful hardback edition that slots neatly into a rucksack and warrants reading whilst out on the hill. I came back from New Zealand full of the joys of 'tramping', (because they don't hike, or walk, they 'tramp') only to find that it sounded strange to say it here in the UK, so I was soon back to walking, plodding, or bimbling as usual. But 'tramping' I like. As his entry in the Oxford Dictionary of National Biography attests of course events in Russia would all go slightly pear-shaped for Stephen Graham, who having been the government's preferred expert would eventually become something of an embarrassment, but he would continue his career as a travel writer and clearly it was these wanderings and observations that underpinned The Gentle Art of Tramping. 'Tramps' were still much in evidence when working in casualty at the London Hospital in the East End in the 1970s. The men (for they were mostly men) would do anything to get a bed for the night, often throwing themselves down the front steps of the hospital, and many's the head wound we were allowed to stitch as students because the men didn't mind, declining local anaesthetic on the basis they had drunk enough to be beyond feeling. One in particular, known to us as Henry Sunshine, was rumoured to have been a professor at Cambridge, and talking to him I had no reason to disbelieve it. For our 25th wedding anniversary, and long before the Kindle solved the problem by allowing me to carry 300 books with me at all times, what terrible choices I made for our three weeks wandering around Europe with rail passes and our lives in rucksacks. The journey all seems a bit daring and adventurous looking back, and was largely determined by the fact that on the date of our actual anniversary September 11th 2001, horrible things had happened so in 2002 we decided on an adventure. But Volume One of Lord of the Rings (abandoned in Bilbao) The Secret History (deserted in Barcelona) and two more long gone from memory but similarly discarded around the continent proved to be poor choices . In desperation I bought The Awakening by Kate Chopin (from a very limited selection) just as we were about to board the ferry across the Mediterranean to Genoa and there followed one of the most memorable reading experiences of my life. How relevant this is in these days of social media and Instagram, and something I had been unwittingly aware of as I write the scribbles. It's very easy to set off on a day's adventure thinking to myself, 'What can I write about this...' 'Which pictures would be best', whilst missing being in the moment and the pleasure of it. Please be assured that I do go to a lot of places that don't get written about or photographed, because as Stephen Graham would agree it's a question of balance. Facsimiles of walking notes from 1932; the book itself and these notes especially, bringing Edward Thomas to mind. Route III - Lake District and the 1932 walker plans to stay at Fell Foot Farm, Brothers Waters Inn (both still in existence) whilst another, recommended by the guide, The Dun Bell Inn which I discover was subsequently flooded in the creation of Haweswater Reservoir in 1940 to provide water for Manchester. Route IV - Round the World. This an even more ambitious journey with "Beaucoup Zigzag'' estimates 113,900 miles on foot across Europe to Romania and the Carpathians to Constantinople, through Persia to Afghanistan, N. India, Burma, Siam, Saigon and onwards taking a boat to Vancouver walking to St Johns, Newfoundland (say 3500 m 12mths) and thence sailing back to Liverpool. I think you can probably tell that The Gentle Art of Tramping has found its niche in a corner of my rucksack and Offspringette's too, a spare copy travelling back to New Zealand with her. Mine is already covered in pencillings and doubtless more to follow. Meanwhile how about you...walk...hike...tramp...plod...bimble ?